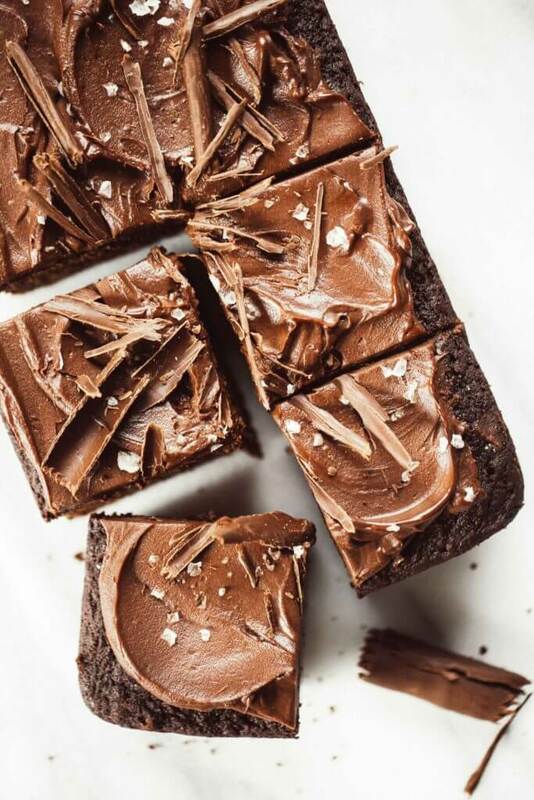 Ultimate paleo chocolate sheet cake recipe with the best chocolate frosting! Easy and delicious- anyone can make it! Perfect for birthdays, holidays, and after weeknight dinners. 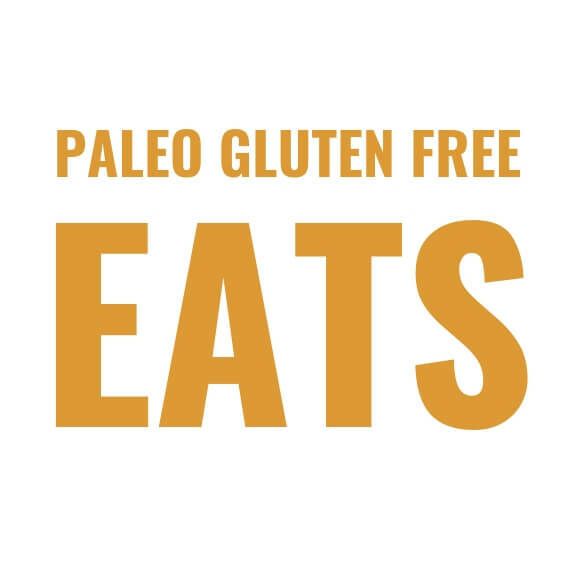 Gluten free, grain free, dairy free, and no refined sugar. Did someone say chocolate cake, because holy moly- I am SO there! 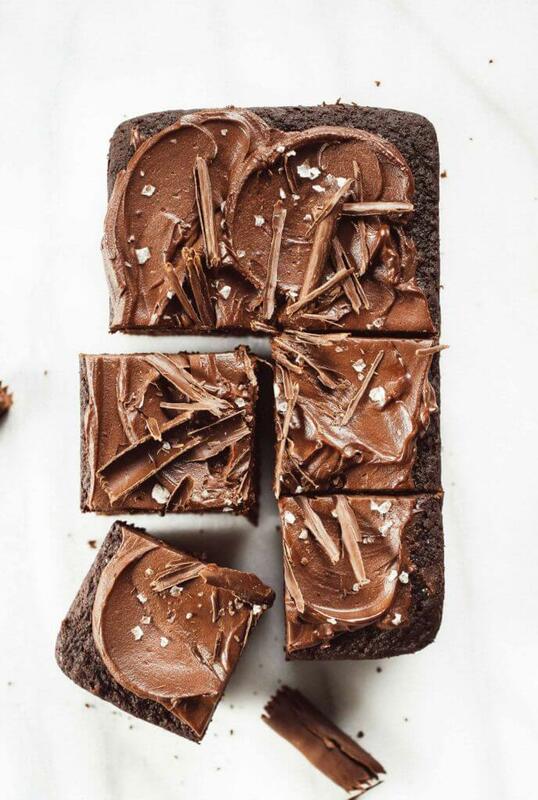 That smooth chocolate frosting and light and fluffy cake is seriously calling my name. All that chocolate is just too much! Okay, not too much. More like, just right. 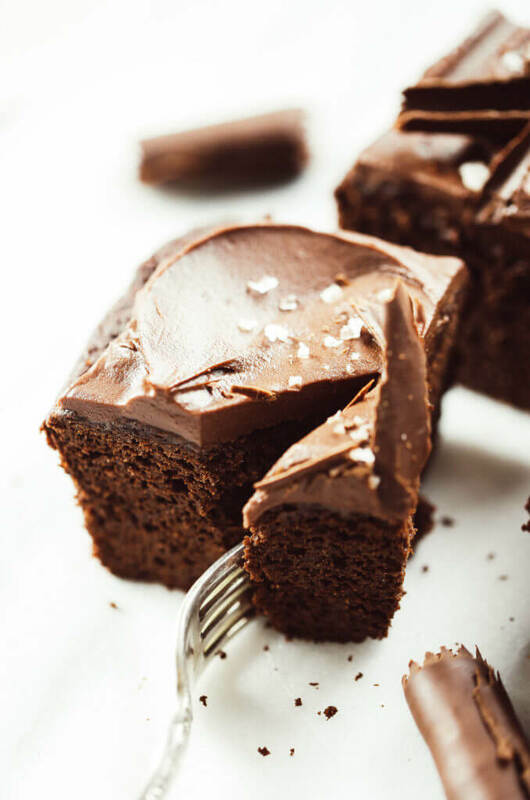 Paleo chocolate cake has always been one of my go-to’s when I wanted to throw restrictions out the window, feel crappy, and just dive into a giant pie or pile of brownies. But thankfully, chocolate cake to the rescue. It’s gluten free, dairy free, and can you believe it- refined sugar free. AND… totally 100% delicious! And paleo frosting? It’s totally a thing. And I’m obsessed. Can’t get enough kind of obsessed. Did I mention that my sister and I would spend the midnight hour shoveling spoonfuls of chocolate frosting into our faces for dessert? Yup, some of my proudest moments. No, really- you just had to be there. AND NOW YOU CAN! Join me. Make this frosting. Eat it at midnight in your pj’s. 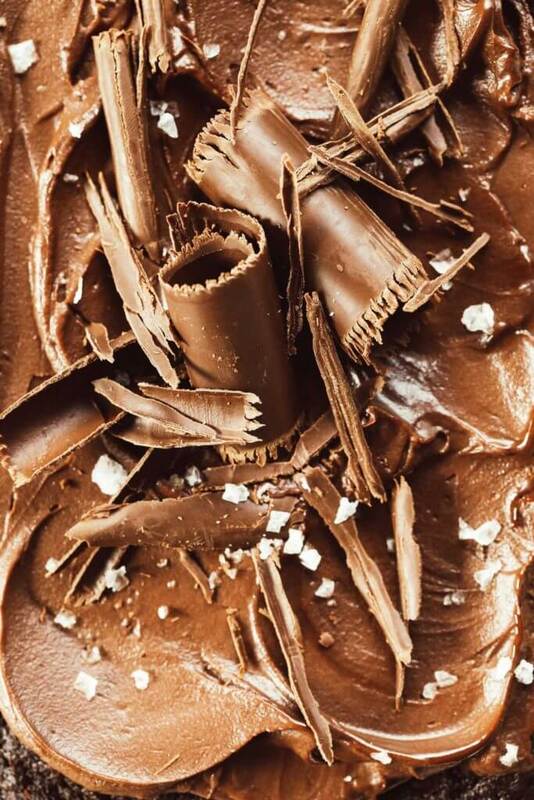 Shovel chocolate frosting into your face like it’s your full time job. See ya on the other side of chocolate, stimulus, and sugar high. Welcome to chocolate heaven people. Grab your forks and settle in for a long night of laughs, chocolate, and plenty of paleo indulgence. Cheers! Preheat oven to 350F. Line the bottom of a 5" by 8" pan (I used a casserole dish, you could use a different size, just watch the cooking time) with parchment paper. In a mixing bowl combine all ingredients for the cake batter until smooth, then pour into the cake pan, and bake on 350F for 25-35 minutes (you will know the cake is done when a knife inserted into the middle of the cake comes out clean). Allow cake to cool before frosting. Heat the coconut milk for the frosting in a small saucepan over medium heat on the stove until warm, but not boiling. Then take it off the heat and add chocolate chips. Let the chocolate chips soak in the coconut milk until melted then stir until combined. Add salt and whisk. Place frosting into the fridge, stir on occasion, and let it chill until the frosting becomes semi-stiff, but still creamy and spreadable (about 1/2 hour). Once the frosting is formed, spread over the cake, slice, and serve. 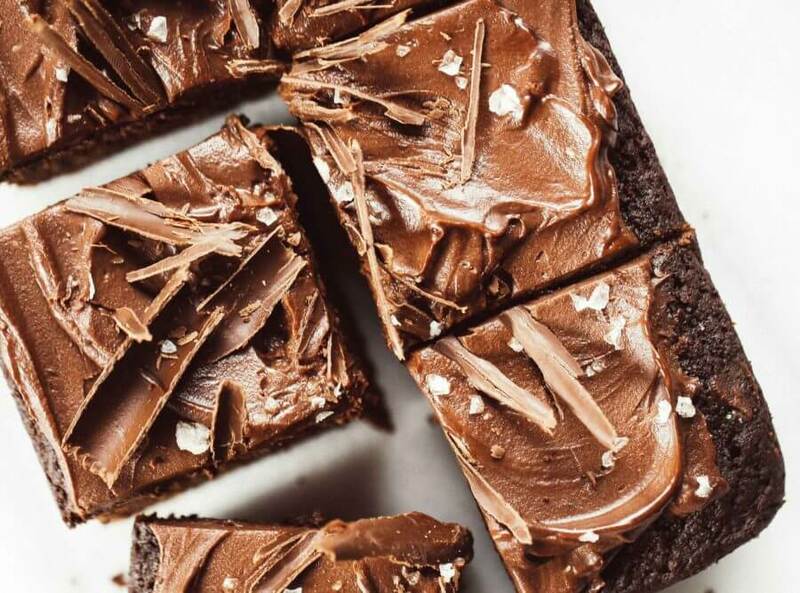 You can make chocolate shavings for decor by melting chocolate chips, spreading the melted chocolate over the back of a baking tray, cooling in the freezer for about 4 minutes, then scraping off into spirals with a large metal spatula. Hey girly! This looks AMAZING!! Is the nutrition facts serving size the entire cake? Hi Alex, it’s per serving. Is the serving per sheet cake or servicing (1 of the 12)??? Hi Kendall, it’s per slice. How many calories is 100 grams? Hi Karri, either or should work, depending on the temperature where you are. I would keep it for 1-2 days in the fridge then move to the freezer. Is the 1/4 cup coconut milk for the cake also full fat canned coconut milk? It can be either one, I usually just use regular coconut milk in the cake. could you use a 8 inch round cake pan? Would you double recipe? time to bake? wow very nice chocolate sheet cake awesome information.Thank you so much. Have a nice day! Yes, that should work Sandy, but I haven’t tried it either.